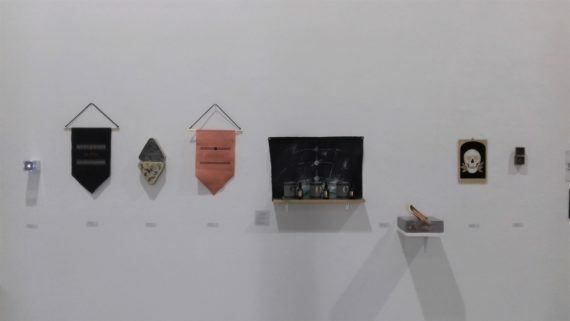 Earlier this month I exhibited at Platforms Project, Athens as part of a group exhibition that looked at the contemplation of our solar system. I, alongside artists Sharon Mossbeck and Alison Whitmore, took 3 planets and interpreted them through our own modes of enquiry with reference to Ancient Greece. 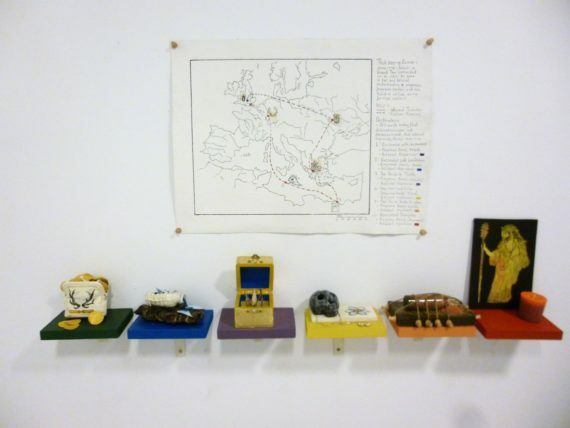 Sharon’s work comprised painting and cross-stitch, Alison’s comprised sculptural and works and I presented 3 perfumes, each representing the Greek gods of Zeus, Kronos and Ouranos. Platforms Project – which is an art fair – was well attended. It reached 16,000 people and our exhibition was well received. I even managed to sell a thing or two, which is great. There are, however, a few caveats with regard to my own work that should be addressed if I am to learn anything and develop from the experience. You see, after much consideration of how to translate three Greek Gods into a scented experience, I decided ultimately to play it straight – simply designing 3 perfumes that acted as portraits of each God. I assumed that this would result in a clear connection between object and concept and would transcend language barriers. So perhaps scented sculptural work designed to tell a story, rather than a straight perfume portrait, would actually be more successful in engaging a wider audience? Or maybe the Greek Gods and the complexities of their narratives would benefit from a different approach to a straight perfume portrait? Perhaps a more careful consideration of why I’m choosing specific scented designs is required, based on the concepts I’m trying to reveal. Either way, it was once again a pleasure to exhibit at Platforms Project and naturally it was another great chance to visit a beautiful city. But maybe next time I’ll leave the perfume at home. 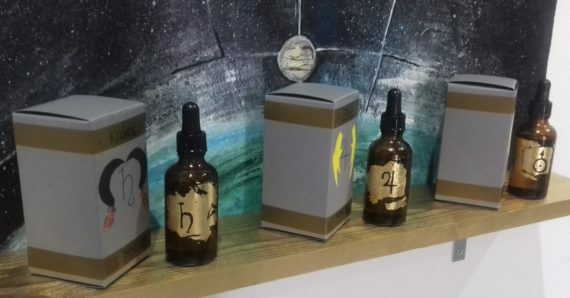 In the midst of setting up my crowdfunding and really cracking on with this perfume lark I have neglected to write a blog about an upcoming group exhibition I will be in as part of SCI. The exhibition will be at ArtMobile, Stockholm, from 24th – 26th April. I will be using the opportunity to extend my perfume-based exploits. Seeking this time to communicate the idea of how we may use perfume as a tool to instigate our sense of identity in relation to our experiences – Travel, for example, offers the chance to reinvent ourselves, but also accommodates the vulnerabilities associated with being out of our comfort zones. This tension is what I wish to express in the work I will take. These images – deliberately obscure as not to reveal the work before it’s been exhibited – portray the two pieces of work I will be taking. There will be a chance within the exhibition to talk about the work to an audience. I am looking forward to this, as it will be very valuable to receive feedback for Perfume as Practice to an entirely new audience. I hope they like it!